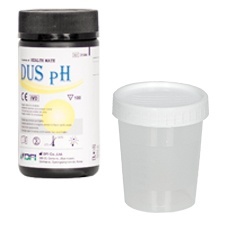 The range of urinalysis products are a specialist item for testing for urine infections and abnormalities in urine. Users of incontinence products may find they are prone to infections, as pads and pants can irritate the urinary tract when worn. Suitable for self-testing and personal use as well as testing patients and professional use, shop from a range of sample pots for effective testing.